The idea of a former players' association was the brainchild of Andy Riddle and Tom Finnie, two lifelong Argyle fans back in 2003. 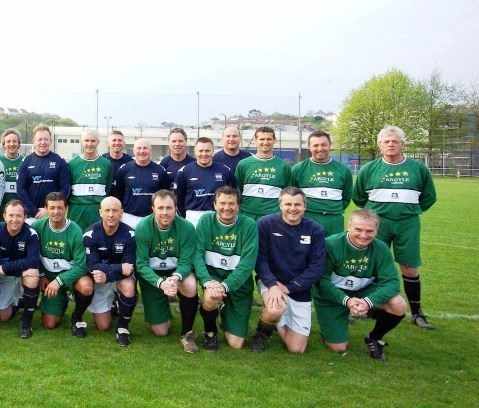 Their first venture together with Plymouth Argyle was to organise an event to celebrate the 100 year Centenary Celebration in 2004. What followed was unprecedented at Home Park when on Saturday 27/03/04 over 80 former players were presented to the crowd before the game against Wrexham. Spurred on by their success, a reunion for the 1958/59 championship winning side was to follow. The name "Argyle Legends" was chosen by Michael Dunford, former Chief Executive of Plymouth Argyle, and was officially launched on the 04/09/07 with former Pilgrims John Hore, Mike Green, Steve Davey and John Uzzell on the organising committee. Argyle Legends is run separately from Plymouth Argyle Football Club but has the full support of the club. Michael Dunford said at the launch: "As a club we felt we did not do enough to honour former players. Argyle Legends ensure our former players will feel a valued part of PAFC for the whole of their lives, after their playing days are over. Being an Argyle player is a memorable part of anyone's life and it is important we do not lose that link between former players and the club". Argyle Legends has since benefited from financial support as well as receiving a football kit and 200 unique Argyle Legends ties. The committee express their sincere thanks and gratitude to all at Plymouth Argyle. Membership is open to former players and managers who have represented the club at first-team level. It exists to help former players keep in touch with each other. Argyle Legends provides the platform for members to renew old friendships and make new ones through its annual calendar of sporting and social events. This includes the Argyle Legends football team, golf days, race nights, reunion dinners, cricket matches, quizzes and other events which has been instrumental in over 280 former players and managers joining to date. 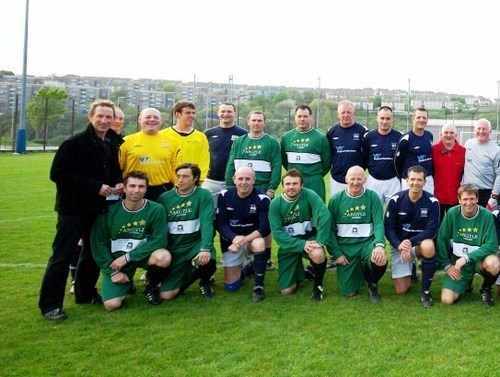 Whilst participating in many of these events, former players are also supporting a primary objective of the association which is to raise funds for charities and other worthy causes. To date several thousand pounds have been raised. Another objective is to assist former players who may have fallen on hard times. There are players out there, maybe in their autumn years, who have hit hard times. They have dazzled, they have mesmerised, and they have captured our imaginations. The Argyle Legends committee is dedicated to seeking out those in distress in order make their lives more comfortable and to show we know how to look after the sons of a huge Plymouth Argyle family. Argyle Legends is also geared to provide support to all types of community projects and corporate events such as dinners, seminars, conferences, product launches, golf days or any other event that may benefit by the personal appearance of a former player.